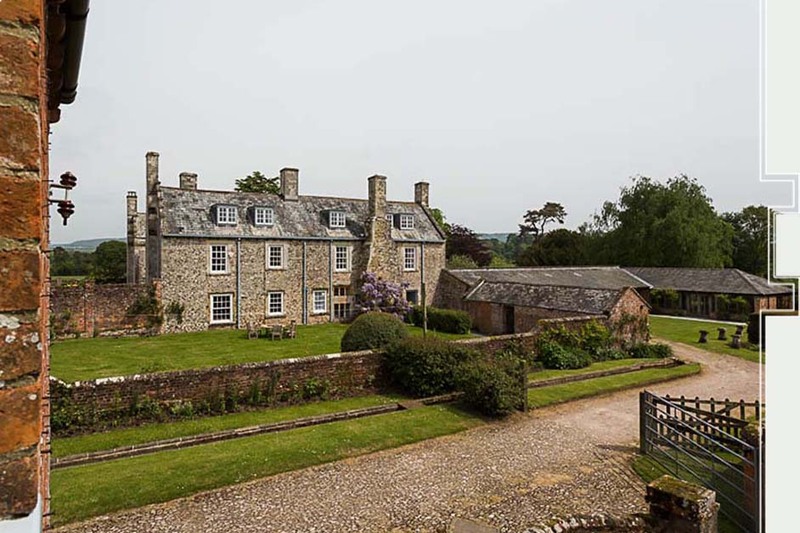 The Stables overlooks Cadhay House with the kitchen door opening directly into the walled garden which has been converted into allotments for some of the local community. 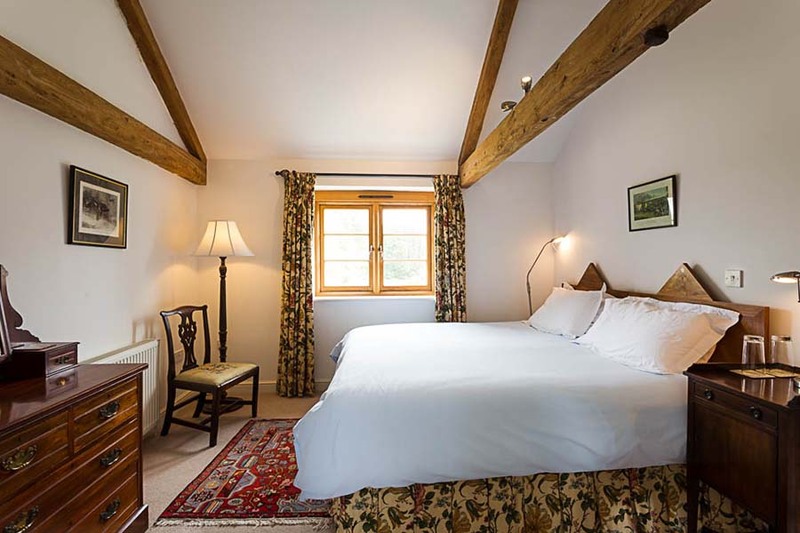 There are three bedrooms; one twin room, the other two rooms (one en-suite) can be super-king doubles or twin bedrooms which together comfortably sleep up to 6. There is an additional family bathroom and downstairs cloakroom. 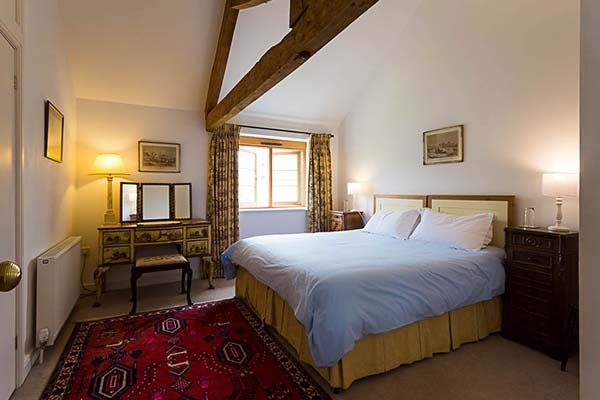 Similarly to the Coach House, the cottage has exposed beams, good quality furniture, antiques, bright rugs, interesting paintings and a cosy woodburner giving a homely comfortable atmosphere. 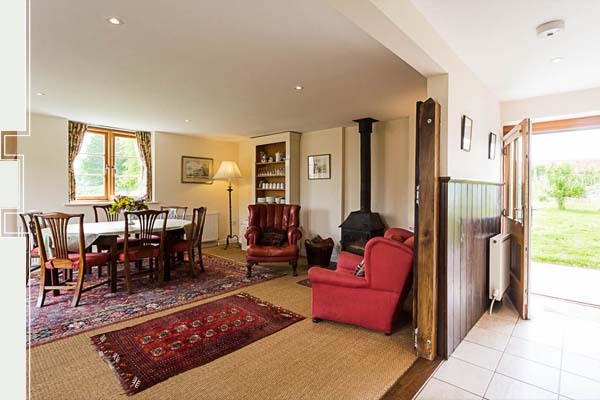 You will find all of the equipment you would expect from a modern and luxurious holiday cottage, including a well proportioned kitchen. 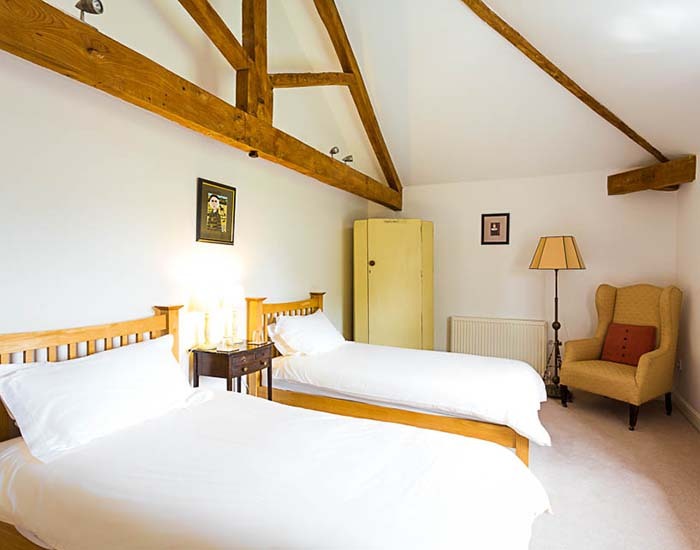 This makes The Stables and all of our holiday cottages ideal for a self-catering break. 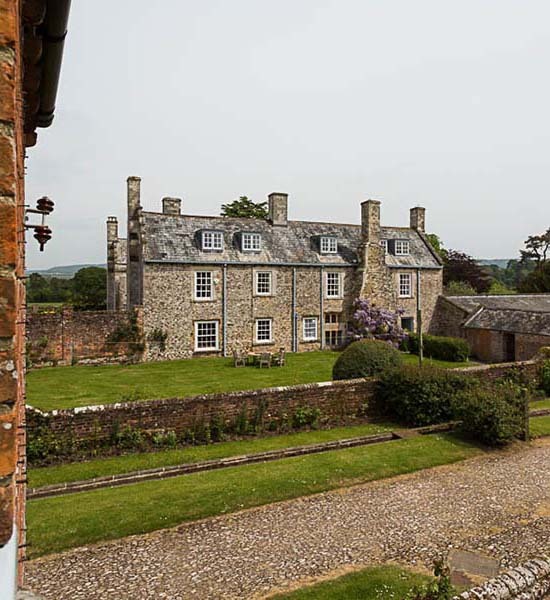 The layout of the Stables is over two floors with three generous bedrooms on the first floor. 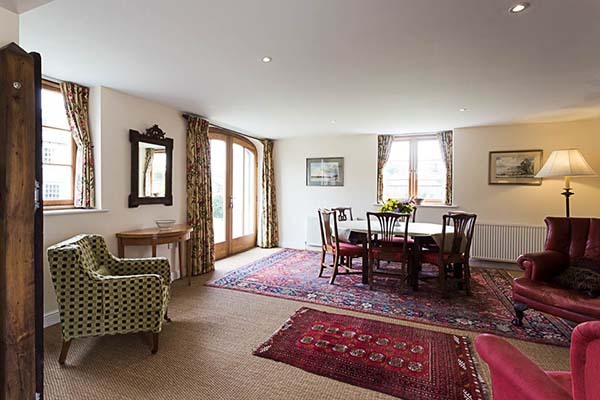 The cottage will comfortably sleep 6 people, making it ideal for families and groups wanting a short break. 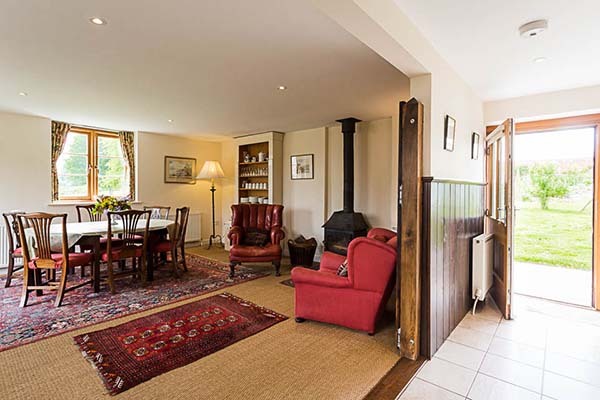 The ground floor is spacious with a well equipped kitchen / dining room which has an extremely homely woodburner as the centrepiece plus an intimate TV lounge/study. 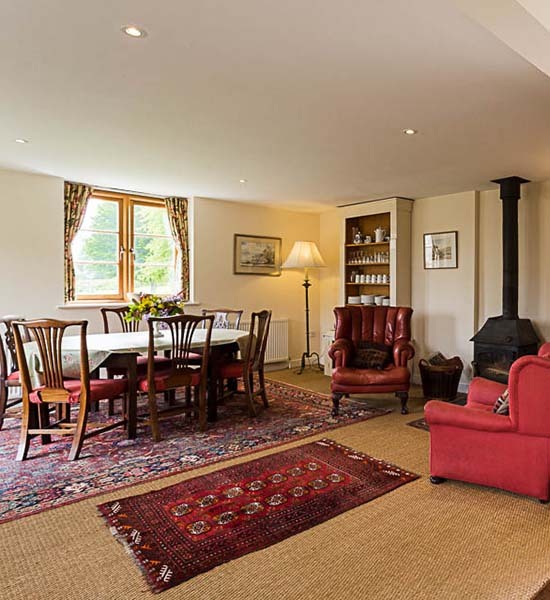 In the winter you can sit back and relax on our comfortable chairs with the wood burner roaring in the background. 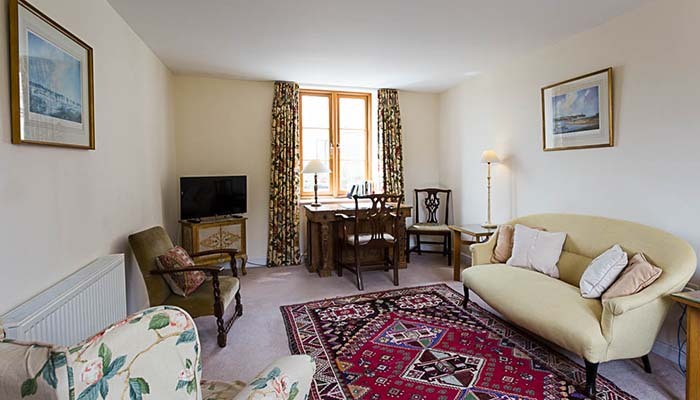 There’s large French windows that offer views of Cadhay. We recognise that a lot of couples and families want to bring their dog with them when they get away for a short break. To accommodate this we’ve made sure that all our Cottages and the whole Cadhay Estate is dog friendly. Cadhay itself and the whole of East Devon provides you with many great walks to get out with your loyal friend. You can explore the Otter Valley or get away for a long walk on the South West Coastal Path. Our holiday cottages are a great base from which you can explore all of East Devon and West Dorset. 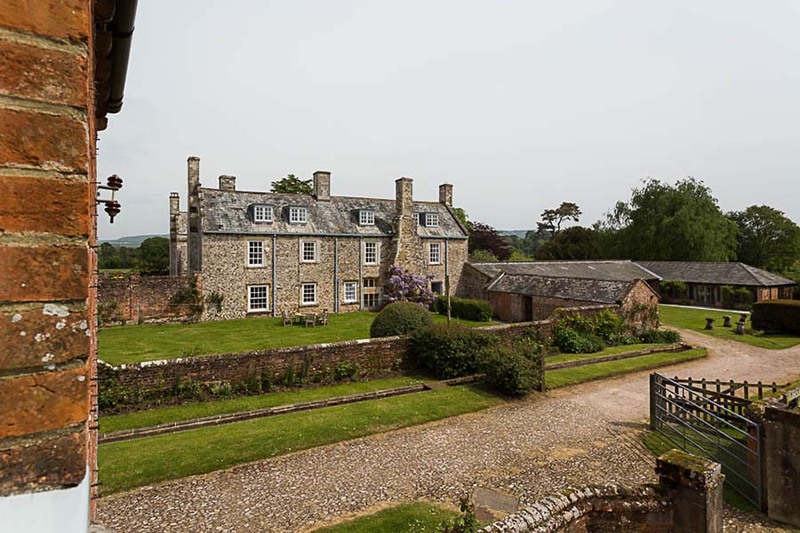 Cadhay is located just outside of Ottery St Mary, an attractive parish town on the River Otter some ten miles from Exeter and six miles from the sea at Sidmouth. Ottery is a peaceful and beautiful town, with excellent independent shops offering local food as well as one of the best wine merchants in the South West. If you want to go out for a meal there are plenty of great pubs and restaurants on your doorstep. East Devon is an ideal place to enjoy walks along the lovely Otter Valley, Woodbury Common, the South West Coast Path plus Exmoor and Dartmoor. If you want to explore the beach the seaside towns of Sidmouth, Budleigh Salterton, Exmouth, Branscombe, Beer, Seaton, Lyme Regis and West Bay are all short drives away. There are no services available for the period you selected.